I have a confession....I love trying out new recipes! Especially healthy ones. Going to the health food store and the farmers market always inspire me to cook up something new and delicious in the kitchen. 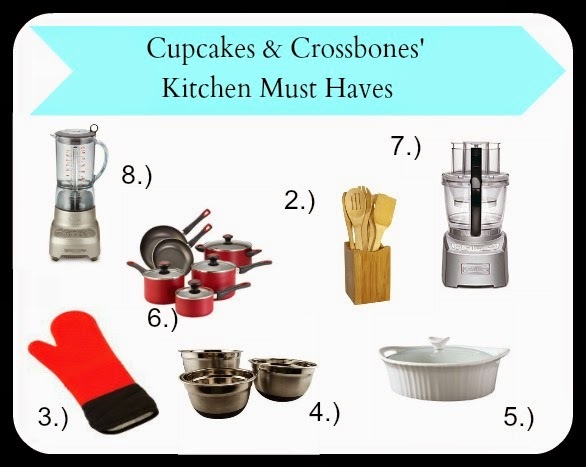 In order for me to make my way around the kitchen and achieve a successful meal as an end result I need to have certain items in my kitchen at all times. 1.) A cool and sexaayyy apron- When your looking good you feel good right?! So why not wear an awesome rockin apron and get this party started! My absolute favorite place to get a spicy little apron is from Sin In Linen. If you haven't checked them out yet YOU MUST! Their products are awesome and they carry everything from bedding to Skull kitchen linens to beach towels. 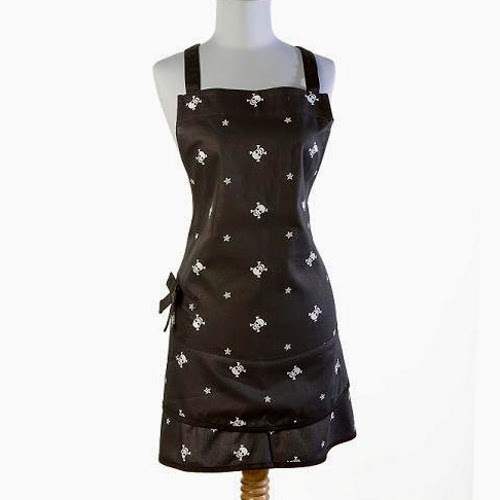 Grab the Skull Apron that I am in love with and have been rockin in the kitchen. 3.) Hot Mits - I love the silicone hot mitts that I got from Crate and Barrel which of course they do not have in stock anymore but you can find similar ones HERE. They are great because you can't burn holes in them and they keep your hands super protected. 5.) A Good Casserole Dish - Casseroles are always a perfect and hearty meal to make whether it is in the summer or winter seasons. 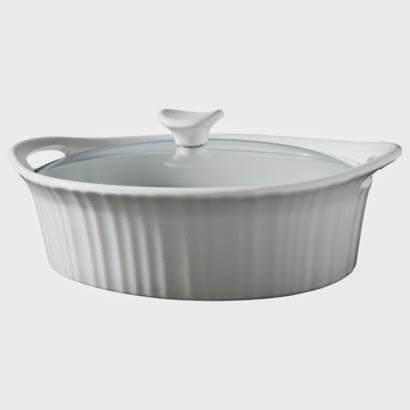 You always need a good sized and trust worthy casserole dish that you know will stand the test of time. I love my Corningware casserole dishes and baking set. Their products are trust worthy and work great. 6.) Pans, Pot, Griller- A good set of pots, pans, and at least one grill pan is a must in the kitchen. Pots and pans are definitely worth the splurge because in this case you do get what you pay for. 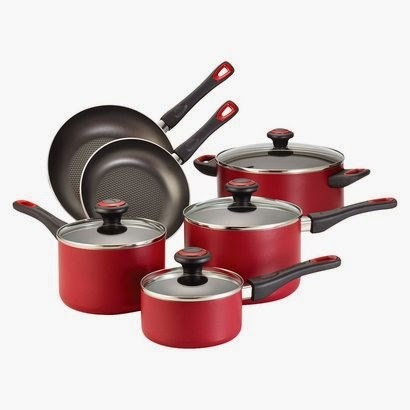 HERE is a great pot and pan set for a great price. 7.) 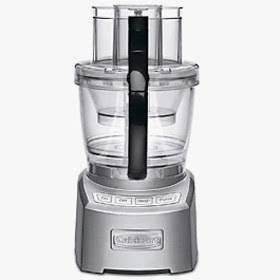 Food Processor- I love my food processor. 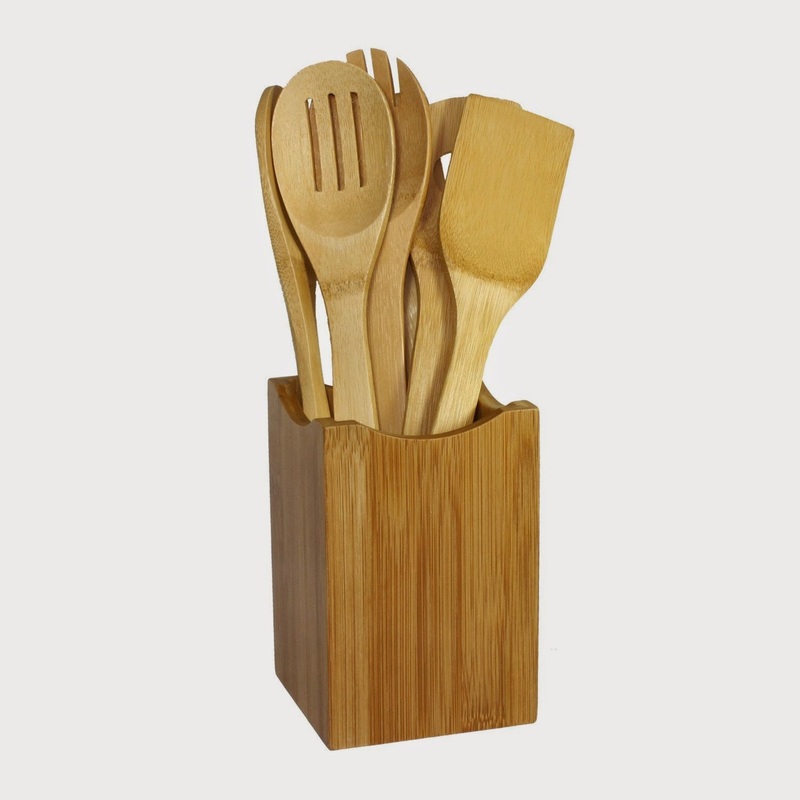 It is great for making anything from pesto sauce to oat flour. It really is a great product to have, especially if you are into making healthy foods at home without all the artificial crap in it that you would find in the stores. I have THIS ONE and it works amazing, I recommend it to everyone. 8.) 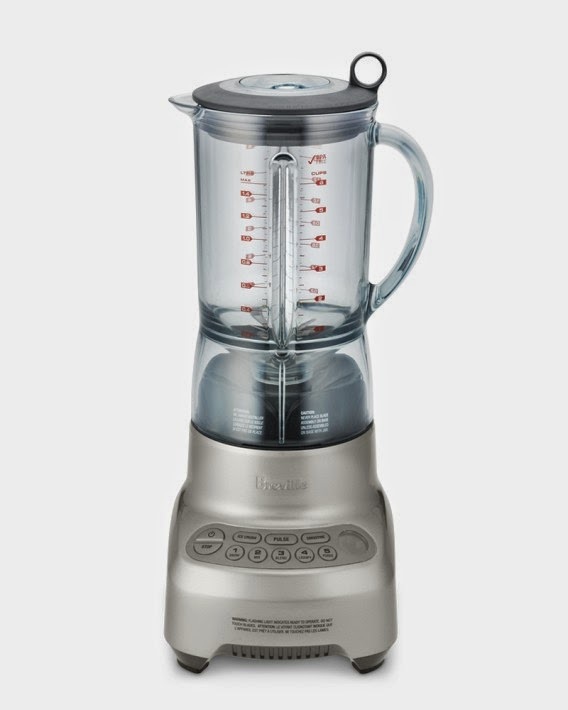 Blender- Smoothies....need I say more? This is another product where you really want to make sure that you invest in quality. A poor quality blender is useless and will just sit in your pantry and collect dust. 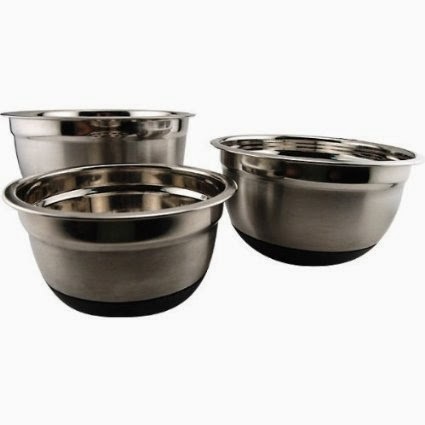 If you get one that works well you will be using this baby all the time and coming up with really creative and delicious meals and beverages. THIS ONE is awesome and although it may be a tad pricey it is worth every penny. 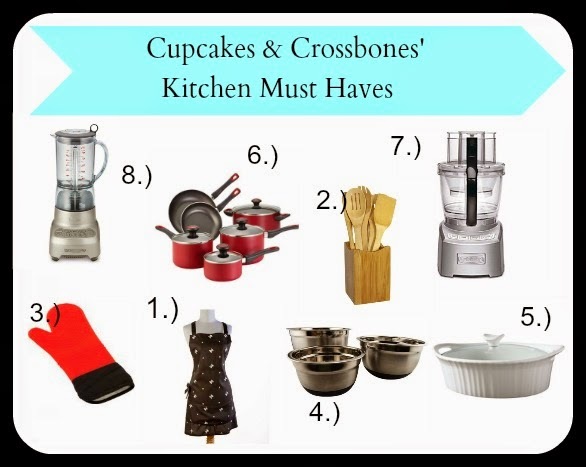 What are your must haves for the kitchen and/or what is on your list of things to get for your kitchen? I love the hot mitt! My kitchenaid mixer gets a lot of use!